For some reason, I've always been interested in the geometrical details of how the Sun tracks across the Earth for a given location and season. Some years ago I wrote the software which calculates all of this. [Users of iNavCalc may recognise the output of this effort in terms of the Sun angle calculations presented along a given flight route]. 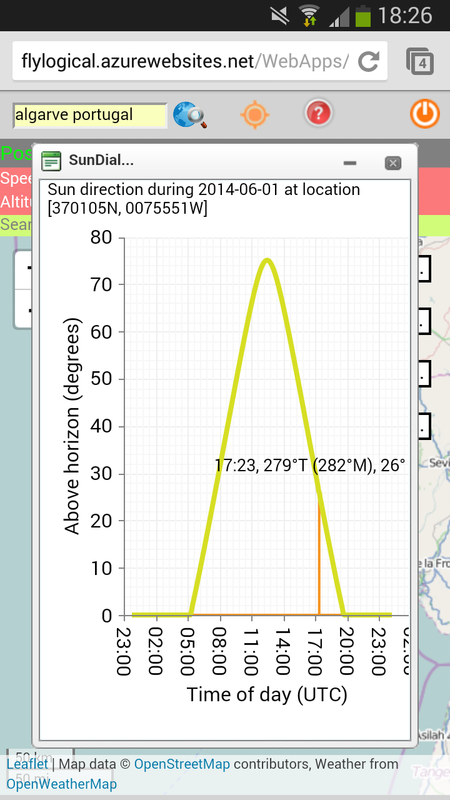 ...which shows the track of the Sun across the sky today for the selected location. The highlighted value corresponds to the position of the Sun right now (i.e., at the point in time when the Sundial link was clicked). 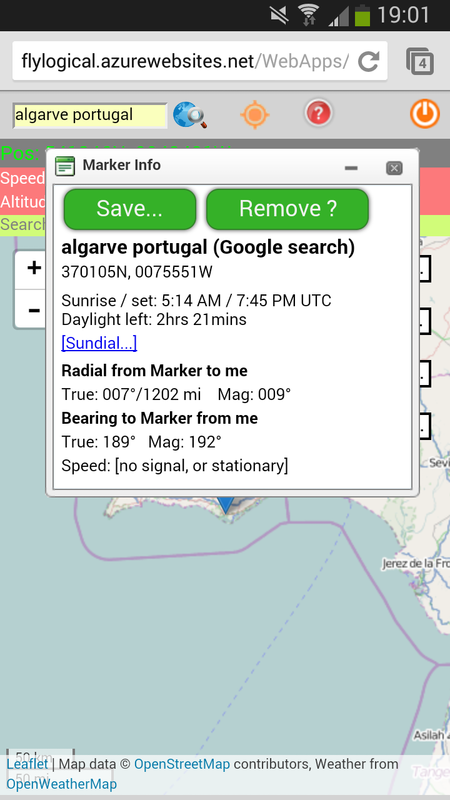 Clicking anywhere on the trajectory shows the Sun position at that point on the trajectory (in terms of time, direction --true and magnetic, & height above horizon). Hope you find it as fun and useful as I do. It is interesting to explore the polar regions, especially those in perpetual light or darkness. Fond memories of a fishing expedition to Alaska one August, when the Sun never set.